I am going to answer the ONE question that I get asked ALL THE TIME as a financial advisor! What is financial freedom exactly? Some people call it retiring early. Others call it being a multi-millionaire! Most people shoot for a financial goal without actually understanding what and where this goal is. I explore the concept of FIRE: Financial Independent Retire Early. If you want to achieve FIRE, do you know how much you need to retire early? Because the best time to start saving is YESTERDAY! How much do you need to save to be financially free? Most people shoot for a financial goal without actually understanding what and where this goal is. 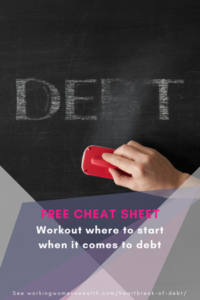 Work out how you are going to save more of your money! The rule of thumb helps you point out your direction of where you are currently going. Your income and savings must beat inflation and the rate at which you spend. When you know the value, you are able to readjust your thinking. Your reticular activating system starts looking for ways to find and create money. We need TIME to make our money grow and maximise interest – free money! It is realistically impossible to just save money for retirement. You have to INVEST. The reality is almost none of us have enough money to retire. Only 6% of the population will be able to keep their standard of living in retirement. The best time to start saving is YESTERDAY! If you enjoyed this podcast, you will enjoy how to make money sitting on your couch, reasons why you should start a side hustle, and when money and mindfulness meet. You’re welcome! Lisa Linfield: 00:09 Hello everybody and welcome to today’s episode of Working Women’s Wealth. I’m so glad that you joined me today because I’m going to answer one of the questions that I get asked so often as a financial adviser and that’s how much do I need in order to be financially free. Some people call it retirement, but we’re going to look at a term called financially independent retire early, which is FIRE. And whilst I think it’s a wonderful concept that all of us should be financially independent from any other source of income and that we would all be able to retire early, the first question that I ask people who want that is how much do you need in order to retire early? So, when is this point? Lisa Linfield: 01:15 Often, they have absolutely no idea. They’re going for a goal that they don’t know where that goal is. I want to give you a simple rule of thumb that you can use. Now, this is in no way financial advice or something that is for you individually. This is a general rule of thumb that works a simple way to work out how much money you need. The first question is where are you living? The whole concept of being able to retire is being able to grow your income at a rate that allows you to earn the money that you need in order to retire. The whole concept of retirement or having enough money to retire depends on how much you can grow your money. The growth often depends on where you live. Lisa Linfield: 02:11 In countries with very high inflation rates, like South Africa, where we pay, for example, 10 1/2% for our basic rate of debt, that’s a whole different thing, with a 5 to 6% interest rate to, for example, the UK, Europe, Canada and America, where your interest rates are much lower, single digits. So, for example, between 1 and 3%. That is the first question, are you living in a country such as America and England or are you living in a country such as South Africa or somewhere in South America where you have different inflation rates. This rule of thumb achieves one thing. It helps you to know the direction in which you’re headed. Lisa Linfield: 02:59 I strongly suggest that you go and see a financial adviser who can help you work out exactly what that number is for you. But, what I’m wanting to do is give you a direction in terms of where you should be heading. So, for those who live in high inflation countries like South America, South Africa, Africa, what you’re wanting to do is to take your monthly amount of expenses you have and times that by 300. If you have 10,000 rand of monthly expenses times 300, you will need three million rand in order to retire. If you have 20,000 rand times 300, you will need six million rand in order to retire. That is hugely important to start understanding how much money it is that you need. Lisa Linfield: 03:54 Now, if you’re in first world countries, such as the UK, such as Canada, such as England, Europe, you roughly will need 400 times the amount of money that you need monthly. So, if you have $1,000 of monthly expenses, you will need times 400, which will give you $400,000. Save that in order to retire. It’s hugely important that you know where it is that you need to head towards. So, what does knowing do? In actual fact, most of us, once we are past those kind of young and wonderful years where we don’t even think about the fact that actually at some stage, we’re going to have to stop working because we feel invincible. Lisa Linfield: 04:40 Most of us actually have a small drain on our energy system, which is a worry as to will we have enough money when we retire. For some, it’s a big drain because we know that we haven’t started enough. Once you know how much money is enough, it really helps you to re-shift your plans. You’re not sitting there thinking, “Well, you can retire at 50,” if you’re at 40 and nowhere near; you haven’t even started saving. You start to adjust the way that you work and there is science behind it. There is a part of the brain called the reticular activating system and this is a center that was designed to help us scan for threats and opportunities. 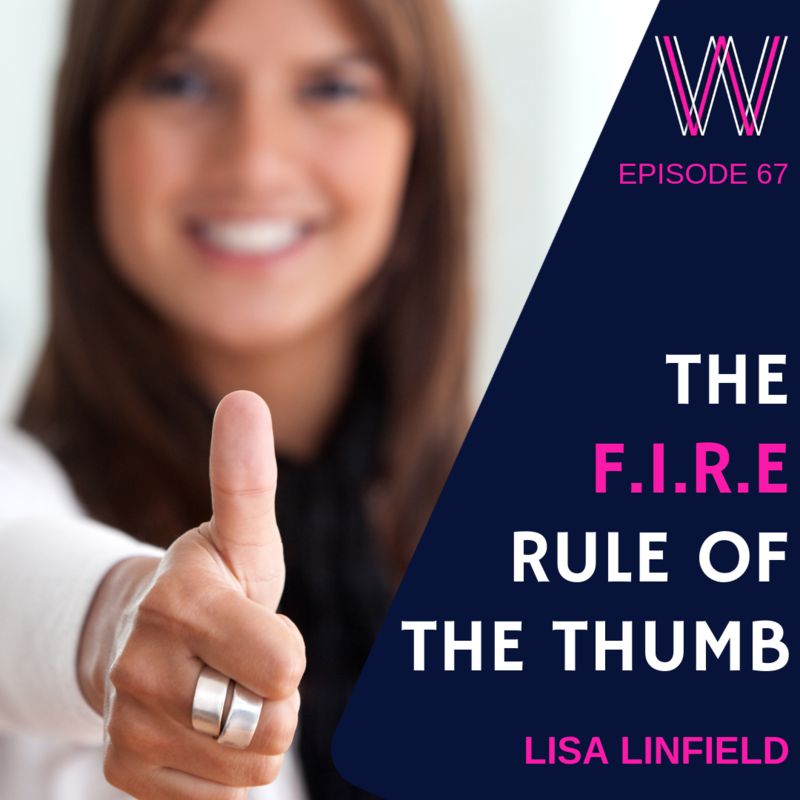 Lisa Linfield: 06:01 And, once it becomes a real priority in your life to start finding ways to achieve this number, your reticular activating system then works hard to find the opportunities and steer you away from threats to being able to achieve that goal. It’s hugely important that your subconscious keeps working and keeps scanning. You see, the biggest challenge is that the day you stop work will not go away. Every day is a day closer to that day, either because your company’s going to kick you out of work or that your health is not going to enable you to continue working in that particular job. So, it is hugely important that we all realize that we need time for our money to grow. Lisa Linfield: 06:51 We need time for all of these investments to earn the free money on free money, or compound interest, compound earnings, in order to make sure that we have enough to save for retirement. Why? Because it’s physically impossible to stash the cash under your mattress, enough for retirement. If you work from the age of 20 to 60, so 40 years, we have to work on the fact that we’re going to live to 100. So, you’re going to be retired for 40 years. So, you work for 40 years, you’re retired for 40 years. If that was the case where you could simply save it under your mattress for the retirement, you would have to take nothing out of your earnings in order to save for retirement. Lisa Linfield: 07:35 Mathematically, it’s almost impossible to physically save for retirement. You have to invest. You have to have your money growing and have that growth then earn more money and growth on growth on growth. Free money on free money on free money is the compound growth of investing and it’s how we actually are able to afford to retire at the right time. So, it requires time for every one of us to invest our money to generate the returns for retirement and that time … When people say to me, you know, when should I start saving for retirement? The answer was when you were 15 and got your first job. If you can’t do that best answer, because we didn’t, then the best time to start saving for retirement is today because tomorrow, you have lost a whole day of growth in earnings and interest that you could’ve had in order to achieve your goal. Lisa Linfield: 08:38 So, these are the three things you need to know. Number one, what is that number for you? How much money do you need today? Multiply it by either 300 or 400, 300 if you’re in a high interest rate environment or 400 if you’re in a lower interest rate environment and get that number of how much you need. Then, secondly, meditate, think, ruminate on that number. Understand that every single day that you’re not saving is a day that you are closer to needing that amount of money. Then thirdly, work out how you can invest more money. There are only two ways. This isn’t complicated. The first way is that you earn more money and the second way is that you spend less money. Those are the only two ways that you get more money to save. You’ve either got to earn more or you’ve got to save more by not spending. Lisa Linfield: 09:41 Once you’ve put that into your possession, you will then start seeking out opportunities. Whenever people say to me, “Yeah, well, I don’t really need a side hustle.” I always say, “Everybody needs a side hustle.” The reason why is that almost none of us have enough money to save for retirement. There’s a study that shows that only 6% of people will be able to live in the same standard of living that they did when they were earning money in their retirement. That means 94% of all of us listening to this podcast are in a position whereby we won’t have enough money. It’s only once you know for certain whether you have enough money or you don’t have enough money, will you be able to make the decisions that you need in order to ensure that you continue to put away that money. Lisa Linfield: 10:30 Many people say to me, “Well, where do I start? 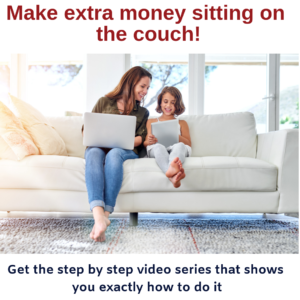 I want to make some more money.” I wrote a log article that went live a little while ago and it’s on many different ways to make $1,000 sitting on the couch. It takes you through these ways that none of us really think about because most of us entered the work force before the internet age of being able to do locum work online. So, if you trade an hour of television every single night, five nights a week and you spend an hour doing these different online things like research and copyrighting and filling out surveys and testing people’s websites, the amount of things that you can do are endless. Lisa Linfield: 11:13 If you do that, you then start putting yourself in a position to earn dollars and to earn extra money that you can save and invest, either for your retirement or, as we discussed two weeks ago, your bucket list or for your kids’ school fees or whatever it is. So, go onto workingwomenswealth.com and find that blog article. It’s pinned to the top. Because this has become an absolute passion of mine. We all have the ways to make more money. The question is how badly do you want to make that money? Lisa Linfield: 11:45 There’s a free download there that you’re absolutely able to access. For some people, like they said, it was a fantastic article. I said, “Well, have you done it?” They said, “No, I didn’t know how.” So, in response to that objection, I have created just more than six videos, a video that shows you and shows you the screen and shows you what you click on, how you fill out the forms that’ll take you through the process of showing you how to earn more money. It’s literally only $4.97. Lisa Linfield: 12:13 So, if you invest $4.97, you can be shown step-by-step a number of different ways as to how you can earn more money. So, go over to workingwomenswealth.com and start putting the money away so that you can live the life that you were made to live, in the freedom and manner without the worries of financial constraints. I’m Lisa Linfield. This is Working Women’s Wealth and I hope that you have a great week.